The university was modelled on the University of Prague, from which the German-speaking faculty members withdrew to Leipzig after the Jan Hus crisis and the Decree of Kutná Hora. The Alma mater Lipsiensis opened in 1409, after it had been officially endorsed by Pope Alexander V in his Bull of Acknowledgment on (September 9 of that year). 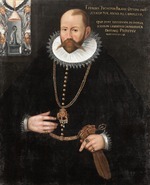 Its first rector was Johann von Münsterberg. From its foundation, the Paulinerkirche served as the university church. After the Reformation, the church and the monastery buildings were donated to the university in 1544. In order to secure independent and sustainable funding, the university was endowed with the lordship over 9 villages east of Leipzig (university villages). It kept this status for nearly 400 years until landreforms were carried out in the 19th century. As many European universities, the university of Leipzig was structured into colleges (Collegia) responsible for organising accommodation and collegiate lecturing. Among the colleges of Leipzig were the Small College, the Large College, the Red College (also known as the New College), the College of our Lady and the Pauliner-College. There were also private residential halls (Bursen, see engl. bursaries). The colleges had jurisdiction over their members. The college structure was abandoned later[timeframe?] and today only the names survive. During the first centuries, the university grew slowly and was a rather regional institution. This changed, however, during the 19th century when the university became a world-class institution of higher education and research. At the end of the 19th century, important scholars such as Bernhard Windscheid (one of the fathers of the German Civil Code) and Wilhelm Ostwald (viewed as a founder of modern physical chemistry) taught at Leipzig. Formerly organized as a collegiate university, the Red College of Leipzig University was established in the 16th century. Leipzig University was one of the first German universities to allow women to register as "guest students". At its general assembly in 1873, the Allgemeiner Deutscher Frauenverein thanked the University of Leipzig and Prague for allowing women to attend as guest students. This was the year that the first woman in Germany obtained her JD, Johanna von Evreinov. Until the beginning of the Second World War, Leipzig University attracted a number of renowned scholars and later Nobel Prize laureates, including Paul Ehrlich, Felix Bloch, Werner Heisenberg and Sin-Itiro Tomonaga. Many of the university's alumni became important scientists. Under Nazi rule many Jews' degrees were cancelled; some were later reinstated as Karl-Marx University degrees by the GDR. Noteworthy Nazis, such as Max Clara (chair of anatomy) taught at the university and were appointed to positions with great authority. Since 4 December 1943 a fixed determination not to abandon the Leipzig University in the most difficult hour of its more than five-hundred-year history has bonded the professors with each other and with the students. The special task of repairing the damage caused by air attacks has now broadened out to the more general duty to save the continuity of our university and preserve its substance, at the very least its indestructible kernel, through the crisis that has now reached its fullest stage. After the destruction of most of the buildings and the majority of its libraries, this kernel is represented by the professoriate alone. This is what must be preserved as the great repository of value in the university. By the end of the war 60 per cent of the university's buildings and 70 per cent of its books had been destroyed. The university reopened after the war on February 5, 1946, but it was affected by the uniformity imposed on social institutions in the Soviet occupation zone. In 1948 the freely elected student council was disbanded and replaced by Free German Youth members. The chairman of the Student Council, Wolfgang Natonek, and other members were arrested and imprisoned, but the university was also a nucleus of resistance. Thus began the Belter group, with flyers for free elections. The head of the group, Herbert Belter, was executed in 1951 in Moscow. The German Democratic Republic was created in 1949, and in 1953 for Karl Marx Year the University was renamed by its government the Karl Marx University, Leipzig after Karl Marx. In 1968, the partly damaged Augusteum, including Johanneum and Albertinum and the intact Paulinerkirche, were demolished to make way for a redevelopment of the university, carried out between 1973 and 1978. The dominant building of the university was the University Tower (now City-Hochhaus Leipzig), built between 1968 and 1972 in the form of an open book. In 1991, following the reunification of Germany, the University's name was restored to the original Leipzig University (Alma mater lipsiensis). The reconstruction of the University Library, which was heavily damaged during the war and in the GDR barely secured, was completed in 2002. With the delivery of the University Tower to a private user, the university was forced to spread some faculties over several locations in the city. It controversially redesigned its historical centre at the Augustusplatz. In 2002, Behet Bonzio received the second prize in the architectural competition; a first prize was not awarded by the jury. A lobby with partial support of the provincial government called for the rebuilding of St. Paul's Church and Augusteum. This caused the resistance of the university leadership, the majority of the students and population of Leipzig. On March 24, 2004 a jury chose a design by Dutch architect Erick van Egeraat, which was well received by almost all parties. He recalls the outer form of the St. Paul's Church (today called Paulinum) and Augusteum, and abstracted the original building complex. Renovations began in the summer of 2005. In 2008 the university was able to prevail in the nationwide "Initiative of Excellence" of Germany and it was granted the graduate school "BuildMoNa: Leipzig School of Natural Sciences – Building with Molecules and Nano-objects". In addition, the university was able to receive grants from the Saxon excellence initiative for the "Life" project – a project that tries to explore common diseases more effectively. Also in 2008 the "Bach Archive" was associated with the university. In 2009, the Leipzig University celebrated its 600th anniversary with over 300 scientific and cultural lectures and exhibitions, reflecting the role of the university's research and teaching from its beginning. The university's urban campus comprises several locations. All in all, the university is spread across 38 locations in Leipzig. The main buildings in the city center are still located on the same land plots as the earliest university buildings in 1409. The university's buildings in the center of Leipzig underwent substantial reconstruction from 2005, the new university's main building being drafted by Dutch architect Erick van Egeraat. The estimated total cost for the renovation project is 140 million euros. The new buildings were scheduled to be completed in 2009/2010, in time for the university's 600th anniversary celebrations. 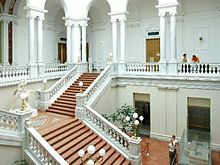 Besides the faculties and other teaching institutions, several other bodies serve the university: the University Library, a university archive and administration, numerous museums (e.g. the Museum for Music Instruments and the Museum of Ancient Egypt) and the university hospital. The university's Leipzig Botanical Garden, the second-oldest botanical garden in Europe. was established in 1542. The University's Musical Instrument Museum includes one of the world's three surviving pianos built by Bartolomeo Cristofori, the piano's inventor. Five other Cristofori instruments are included in the Museum's collections. The University Library of Leipzig was established in 1543. It is one of the oldest German university libraries and it serves as a source of literature and information for the Leipzig University as well as the general public in the region. Its extensive historical and special collections are nationally and internationally recognized. The library consists of the main building "Bibliotheca Albertina" and forty branches situated near their respective academic institutions. The current stock comprises 5 million volumes and about 7,700 periodicals. Collections range from important medieval and modern manuscripts to incunabula, papyri, autographs, ostraka and coins. The Apel Codex, a manuscript of 16th century music, is housed in the Leipzig University library, as well as the Papyrus Ebers. The Leipzig University Library also owns parts of the Codex Sinaiticus, a Bible manuscript from the 4th century, brought from Sinai in 1843 by Constantin von Tischendorf. Papyrus Ebers is the longest and oldest surviving medical manuscript from ancient Egypt, dated to around 1600 BC. The Codex contains large parts of the Old Testament and a complete New Testament in ancient Greek, and is one of the most important known manuscripts of the Greek Old Testament and the New Testament. It is the oldest fully preserved copy of the New Testament. The original four facilities were the Faculty of Arts, Theology, Medicine, and Law. Today, the university comprises the following 14 faculties and institutes associated with it. Today, the university has 14 faculties. With over 29,000 students, it is Saxony's second-largest university. There are now more than 150 institutes and the university offers 190 study programs leading to Bachelor's degrees, Master's degrees, Staatsexamen, Diplom and Ph.D.s. The university offers a number of courses in English and other foreign languages, and there are several programs which have been specially designed for foreign students. Exchange partner universities include the universities of Arizona, Oklahoma, Houston, Alberta, Ohio, and Edinburgh. Traditionally contacts to universities in Eastern Europe and the Far East are strong as well, e.g. there are cooperations with leading institutions such as Moscow's Lomonosov University and Renmin University in Beijing. There are several International Master's programs: American Studies, Global Studies, SEPT (MBA in SME Promotion) and one Bachelor/Master's/Ph.D. program (International Physics Studies Program) taught in English. American Studies Leipzig was awarded three international professorships: The Fulbright-Leipzig Chair for American Studies, the DAAD Professorship for American and International Studies, and the Picador Guest Professorship for Literature. It is also the home of Aspeers - Emerging voices in American Studies, a graduate-level peer-reviewed scholarly journal for American studies. Erasmus Mundus Global Studies is an interdisciplinary, research-based Master offered by a consortium of five European universities: Leipzig University, the London School of Economics, University of Vienna, University of Wroclaw and Roskilde University. In the field of anthropology, the university is cooperating with the Leipzig Max Planck Institute for Evolutionary Anthropology. In 1995, the Leibniz-Institute for Jewish History and Culture named after Simon Dubnow was formed as a research institution related to the university. Since 2008 the university is also home to one of Germany's few Confucius Institutes. The Institute is based on an agreement of June 2006 between the university administration and representatives of the Chinese Embassy to establish a Confucius Institute in cooperation with the Renmin University and the "National Office for Teaching Chinese as a Foreign Language". Leipzig University has been the home of the first German chair for Chinese and East Asian Languages in the 19th century, which later became the Institute of East Asian Studies, which still exists today (see Georg von der Gabelentz). The university is ranked second in Germany, twentieth in Europe, and 105th in the world by the web-based Webometrics Ranking of World Universities, a ranking evaluating universities' scientific online publications. The 2016 ARWU ranking sees Leipzig climbing up to the 151-200 tier being among the top 14 German universities. Leipzig has constantly been ranked among the German top 10 in various university sport disciplines over the past decades. Leipzig university has a large body of international students. In winter term 2017, out of its 28,797 students about 11% (3,174) were foreign students. Leipzig has a thriving student life with a large number of student run bars, sports clubs and recreational facilities for students. The student body in Leipzig is diverse, not only due to the broad spectrum of subjects at the university but also because of the other higher education institutions in the city. The Moritzbastei is the largest student club in Germany, it is part of the historic city fortifications of Leipzig and is famous for its atmosphere and large number of cultural events. The university is home to the Leipzig Academic Orchestra and the University Choir of Leipzig. There are numerous courses offered in performing arts every semester and a dance festival is organised by students once a year. In the field of sports, the university offers training opportunities and courses in almost all disciplines. During the annual Leipzig book fair, the university library and other university institutions organise public events for authors. 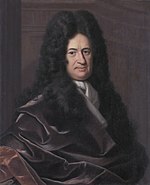 Michael Ranft, German historian and theologian. C. F. W. Walther, first President of the Lutheran Church–Missouri Synod and its most influential theologian. Raila Odinga,Kenya's second Prime Minister and the father of Africa's modern democracy. ^ a b c "Jahresbericht 2015" (PDF). Leipzig University (in German). pp. 53–59. Retrieved June 18, 2017. ^ "Zahlen und Fakten". Leipzig University (in German). Retrieved June 18, 2017. ^ "A Jewish Palestinian's quest to receive his degree, from Nazi Germany". wn.com. Retrieved December 31, 2013. ^ Universitätsarchiv Leipzig, Rectorate 50. Quoted in Grondin, Jean (2003). Hans-Georg Gadamer: A Biography. New Haven: Yale University Press. p. 234. ISBN 0-300-09841-3. ^ Dr. Alexander Weber (May 17, 2013). "Graduate School BuildMoNa". Buildmona.de. Retrieved December 31, 2013. ^ Leipzig, Universität. "Universität Leipzig: Central Institutions". www.uni-leipzig.de. ^ "In Pursuit Of Knowledge - An Exhibition of Leipzig University Library -". www.inpursuitofknowledge.org. ^ "Universitätsbibliothek Leipzig: Locations". www.ub.uni-leipzig.de. ^ Leipzig, International Max Planck Research School: The Leipzig School of Human Origins,. "IMPRS "The Leipzig School of Human Origins" - Home". www.leipzig-school.eva.mpg.de. ^ Since the adoption of the Bachelor's degree and Master's degree only three study programs leading to Diplom have remained: Maths, Mathematical economics and Protestant Christian Theology. ^ "SEPT – MBA program at glance". Sept.uni-leipzig.de. Archived from the original on October 14, 2007. Retrieved December 31, 2013. ^ "Homepage of the International Physics Studies Program at Leipzig". Uni-leipzig.de. Archived from the original on February 12, 2012. Retrieved December 31, 2013. 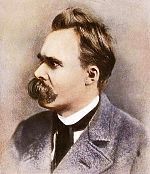 ^ "The Picador Guest Professorship for Literature | American Studies Leipzig". Americanstudies.uni-leipzig.de. Retrieved December 31, 2013. Wikimedia Commons has media related to Universität Leipzig. Herbermann, Charles, ed. (1913). "University of Leipzig" . Catholic Encyclopedia. New York: Robert Appleton Company.